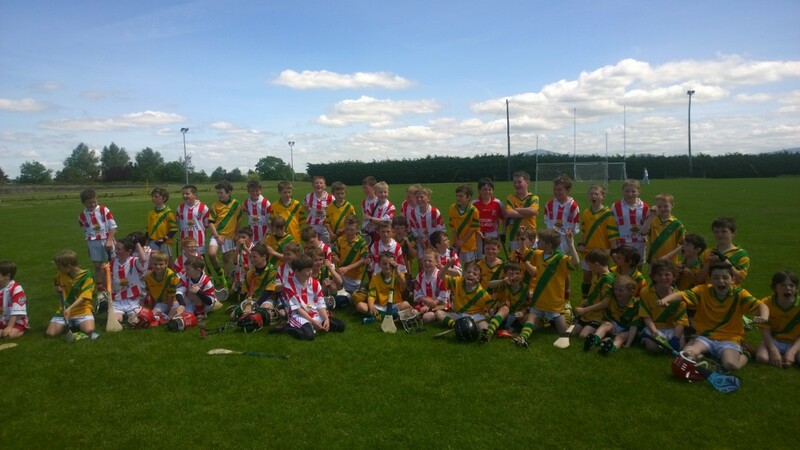 The U10s boys enjoyed a fabulous trip to Young Irelands of Kilkenny today for a challenge match against Charlie Carter’s U10 team. The lads did us proud – as always – playing four keenly contested games with impressive skill and teamwork. The boys proved they can play with the best of them! Our hosts put on a generous spread after the game, then it was back to Faugh’s clubhouse for pizzas and refreshments to cap off a busy week of hurling. Well done to all the boys, whose commitment, energy and enthusiasm for the game are truly inspiring! Thanks to Young Irelands for hosting us and of course to all the parents and mentors for the continued support. Hon the Bealach! !